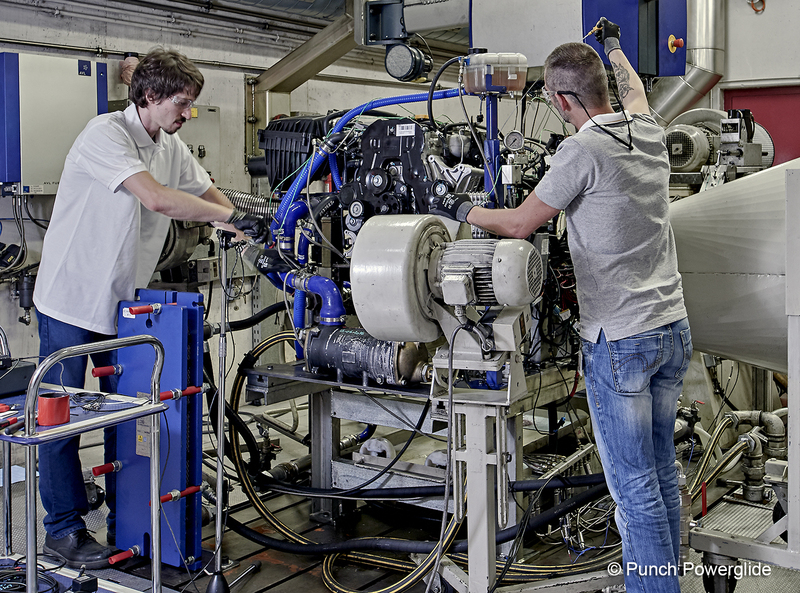 PUNCH Powerglide technical centre offers services to gearbox manufacturers by providing them with testing means, software programming expertise, calibration, noise analysis and vibration (NVH) expertise. 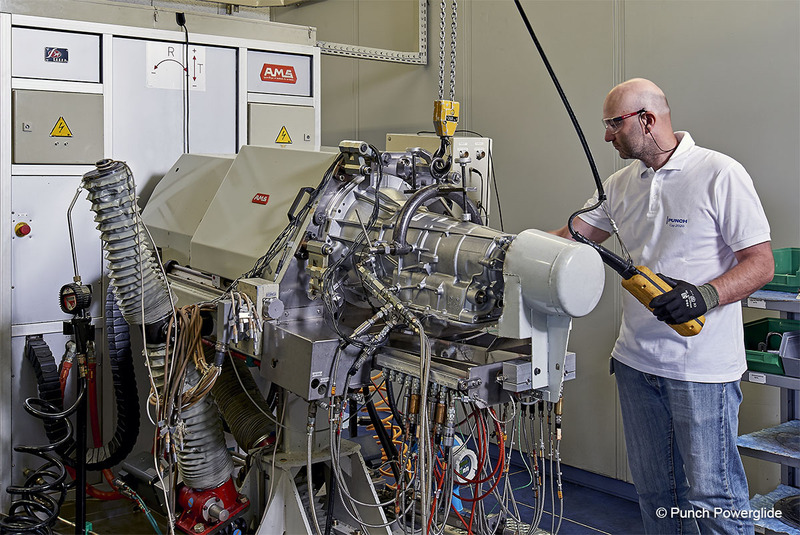 We have component test benches enabling automatic transmission manufacturers to validate sub-assemblies of parts. We have 8 testing cells to validate the durability of transmissions and engines (download the detailed brochure to find out more). We perform diagnostic tests directly on vehicles on a roll bench, in climate chamber (temperature ranging from -40°C to +50°C) or on a slope at 30% and 40%. Our garage has 15 elevators (3.5T and 4T) to handle the maintenance and ensure the correct operation of the vehicles. We have about thirty stations to ensure the prototype assembling, the dismantling, the alteration of equipment and test end analysis. The “Electronic, Controls & Software” group plays an instrumental role in the industrial innovation of the automotive sector for which the performance, real time and operating safety challenges are crucial. It is tasked with developing the embedded software of the automatic transmissions via the life cycle of the software, from the customer requirements to the final delivery as well as covering all the software professions. It has 5 HIL (hardware in the loop) software test benches for the verification, validation and testing of the software. This is the ultimate stage prior to the production launch of an automatic transmission. The calibration work entails setting the variables in the electronic control module. Most of the calibration work is performed in the car for the fine tuning and the validation of the settings in real and extreme conditions. For this purpose, embedded software (INCA) allows for real-time viewing of the transmission behaviour and to work on the settings. The team is made up of approximately fifteen engineers and technicians who cover the different calibration fields: changing quality, torque converter control, shift strategy, diagnostics, etc. The Noise and Vibration Laboratory specialises in developing and overcoming noise and vibration problems of manual and automatic transmissions. Its skills are mainly focused on noise and vibration measurements on vehicles and electric motor or heat engine benches, frequency analysis, experimental structure dynamic analysis, running machine analysis, torsional vibration analysis and acoustic intensity measurements. 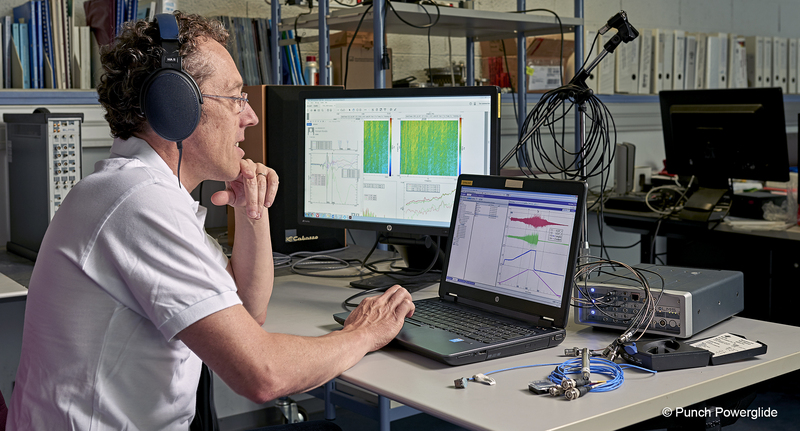 The NVH teams have extensive means and tools for very quick diagnosis in the development and validation phase, the occurence of failures and their probable root causes and thereby contribute to optimising the technical and economic management of projects. 5 LMS and MBBM multichannel analysers (up to 34 measurement channels available, high frequency speed measurement). Over 150 sensors: accelerometers, microphones, sound intensity probe, optical speed and high frequency magnetic sensor, acoustic head, vibrating pot, impact hammer, pressure sensor, etc.